Reading the headlines on the US Preventive Services Task Force’s (USPSTF) update to its prostate cancer screening guidelines, you might come away with the idea that the task force has completely reversed its 2012 recommendation against broad-based prostate-specific antigen (PSA) screening. But that would be the wrong impression. The main point is that men who are candidates for testing (ages 55 to 69) should discuss the benefits and harms of the test with their doctors and make a personal decision about whether to take it. USPSTF gave PSA screening Grade C. Urologists are happy. But no Indian parent would be pleased unless Grade A. Upgrading from an atrocious “D” to a mediocre “C” grade wouldn’t strike most people as much of an about-face. Yet headline-skimmers might conclude that the task force is now offering a ringing endorsement of PSA testing. Further down in the WaPo piece, it becomes clear through very thorough reporting that this isn’t as much of a “turnaround” as the initial framing suggests, and that “the balance of benefits and harms is still close,” as one task force member puts it. But when the WaPo story was picked up in my local newspaper, The Minneapolis Star Tribune, the headline morphed even further off message. Prostate screening “OK’d”? That headline is definitely not OK. The New York Times headline, “Discuss prostate screening with your doctor, experts now say,” makes it sound like talking with your doctor about this is a new idea or a reversal. It isn’t. As Vinay Prasad, MD, points out in this opinion piece in STAT, saving lives from prostate cancer is not the same as saving lives. In my mind, the greatest misconception about the test is that we say it “saves lives” when that is uncertain. PSA testing reduces the risk of dying of prostate cancer, but there is no evidence it reduces the risk of dying. 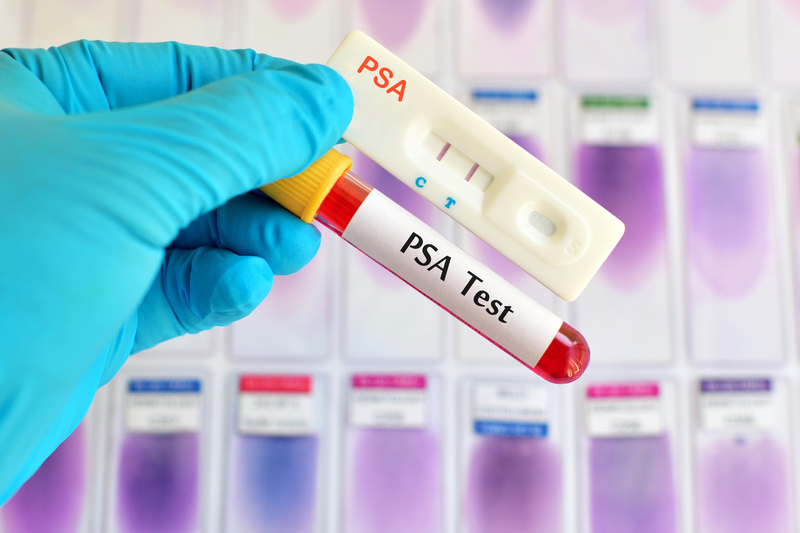 Overdiagnosis and overtreatment are common with PSA screening — the USPSTF says it happens in 20 percent to 50 percent of men diagnosed by screening — so even small harms may counteract any benefits of screening. For instance, some treatments for prostate cancer, such as radiation therapy, can increase the risk of getting a second cancer. STAT’s news coverage of the update provides a nice breakdown of the numbers that includes a discussion of benefits and harms. It’s self-consciously designed to “help you avoid whiplash” that might be induced by other headlines emphasizing reversal. However, the STAT Morning Rounds newsletter claimed, “For men between 55 and 69, the panel is punting the decision to doctors,” which is a harsh characterization of the panel’s announcement. The task force made a clear call for shared decision-making discussion between men and their doctors – a two-way deliberation between partners – a far cry from punting the decision to doctors. 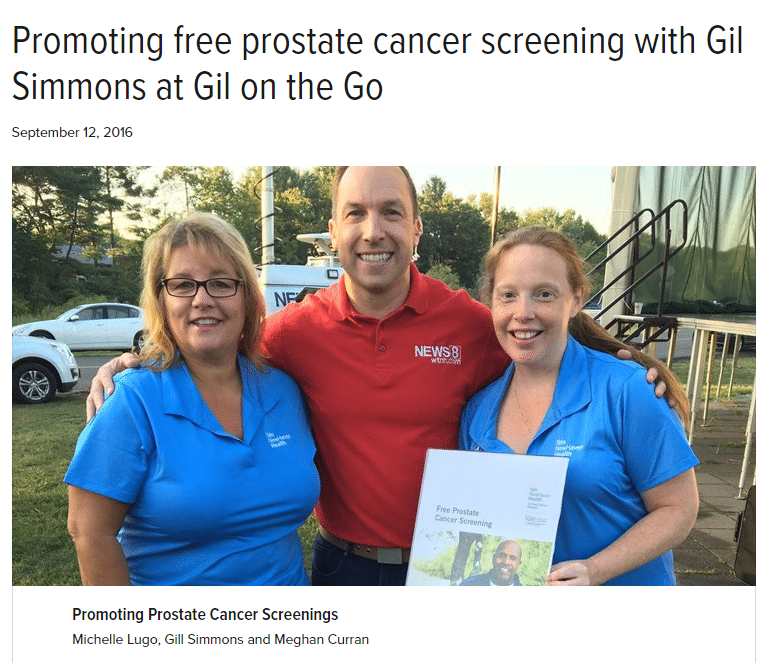 “Bottom line: 1,000 men screened, one prostate-cancer death averted [over a period of 10 to 15 years],” the piece concludes. Richard Hoffman, MD, MPH, professor of internal medicine and epidemiology at the University of Iowa Carver College of Medicine/Iowa City VA Medical Center, suggests the new guideline calls for “informed screening” and emphasizes that men do not necessarily need treatment for a PSA-detected cancer. 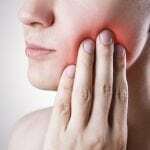 Will the new guideline have an impact? Hoffman predicts it will. It’s true that the USPSTF recommendations carry a lot of weight. After the 2012 guidelines were released, screening rates went down and so did diagnoses of prostate cancer, according to a report in JAMA. Some medical and patient advocacy groups are embracing the new guidelines, and getting some licks in at the USPSTF at the same time. The American Urological Association (AUA), whose members perform the prostate surgeries that often result from an elevated PSA test, has hailed the changed grading (from D to C) as the result of “a more inclusive and transparent process” — referring to political pressure put on USPSTF to include urology specialists in its deliberations. The Prostate, Lung, Colorectal, and Ovarian (PLCO) Cancer Screening Trial formed the basis for earlier thinking that PSA testing offered no benefit. However, that study was later dismissed as flawed since about 90 percent of the control group had been screened, rendering the results unreliable. The new evidence considered by the USPSTF has problems of its own, Hoffman warns. The UK’s ProtecT trial, for example, included patients who had intermediate-risk prostate cancers and would not be considered candidates for active surveillance in the US, Hoffman said. In the US, we’re still trying to determine how to best identify and monitor men with low-risk cancers. The ProtecT trial may not be a good foundation for making broad recommendations about these patients. As we continue to wait for longer term, applicable studies assessing the benefits and harms of routine cancer screening and active surveillance, it’s a certainty that the national discussion about prostate cancer screening is far from over. 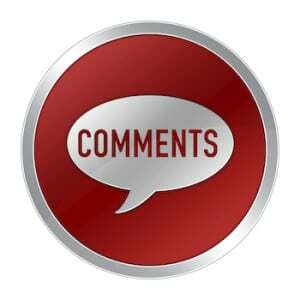 Editor’s note: A paragraph has been added to this post to include more details about the Washington Post’s reporting on the updated guidelines. Indeed. There have been no new RCTs of PSA screening versus no screening so there is no new evidence of mortality benefit of screening, either from prostate cancer or overall. In spite of this there are patently false claims that there is new evidence for reduced prostate cancer mortality. It’s simply appalling that such false claims are so readily spread around. The ProtecT trial is not a trial of PSA screening versus no PSA screening, so cannot tell us anything conclusive about whether PSA screening has value. It was a trial of various “treatments” once prostate cancer is detected usually as a consequence of a positive PSA screen. So it has nothing to do with testing the benefit of PSA screening. Maybe it has some bearing on the harms of treatments but that is academic until a benefit is shown. This is a ridiculous critique. I never said that the panel ok’d the test. You as professionals should know that I’m not responsible for a headline on a local paper. And sorry, it is a big deal. They went from a no to a maybe for thousands of men and that is really important and a change of mind. So I don’t really understand what your beef is but it’s not backed up by facts. This post doesn’t say that you personally were responsible for either headline. As journalists ourselves we know that news stories touch many hands before publication. And yet, someone should take responsibility for the final product. Is it ridiculous to expect that? I don’t think it is. The guidelines are certainly newsworthy, but by putting headline emphasis on the fact that the panel “changed its mind,” I (and many others we heard from) think this sends an imbalanced message in that it emphasizes reversal. The recommendations in this case went from “Don’t get this test” to “Talk to your doctor about this test but the benefit if any is still likely to be small.” That’s a a very incremental change. I think a different choice of headline could have captured that fact more effectively. I have to disagree with you. Every doctor and researcher I talked to thought this was an important development. The language might sound incremental to you (and to the scorekeepers on the trials) but the people I interviewed considered it a significant change. The people who supported this said it would save many men from metastatic disease. The people who opposed it said it would result in more men being subjected to needless harms. Even if the language sounds incremental to you, the results could very well be sunstantial, according to my reporting. This post doesn’t argue that the change isn’t an important development. It says that framing the updated guidelines as a reversal — e.g. “changed its mind” and “turnaround” — is misleading. The underlying science hasn’t changed much. And if your sources were arguing that screening would have a big impact on metastatic disease, then I think you had an obligation to analyze that claim against what the numbers actually show. 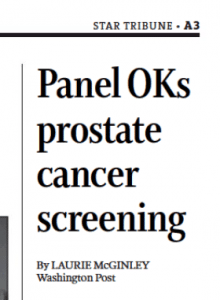 Of course, you did provide that context further down in the piece … “the survival rate for early-stage prostate cancer is 99 percent after 10 years, regardless of whether a man opted for surgery, radiation or active monitoring” … “the balance of benefits and harms is still close” … “This is not a recommendation that says men should go get screened. This is a complex decision.” However, that complexity is not captured in the story’s initial framing, which unfortunately may be what most most readers take away from the piece. And that’s why we had a problem with it. Your citation of the argument by Dr. Prasad that there is no evidence that PSA screening lowers overall death rates is inappropriate, as it is close to impossible for the current studies, or indeed for any feasible study, to provide such evidence. Please interview an epidemiologist or statistician about this issue. Given that a large percentage of men in this age range will die from some natural cause over a 10 or 15 year period, a sample size of even 100,000 is way too small to have adequate power to detect effects of PSA screening on the overall death rate in the range that one would expect. A power analysis shows that one would need sample sizes of 4 or 5 million to have adequate power. There will NEVER be a randomized control trial of PSA screening with a sample size of 5 million, so there will NEVER be relevant evidence on this issue. In fact, in the European screening study, the overall death rate DID go down in the screened group relative to the control group, and in fact went down by MORE than the decline in the prostate cancer death rate. But given the statistical imprecision in measuring effects on overall death rates, the confidence interval on screening’s effects on the overall death rate is too wide to reject zero effect or perhaps a very large effect. In fact, the European screening study and the American screening study were never intended to provide useful evidence on PSA screening’s effects on the overall death rate. Their sample sizes were chosen to provide useful information on effects on such outcomes as the prostate cancer death rate, which can be estimated more precisely because such deaths are a rarer event than death from any causes. I grow tired of hearing this argument. First, there is no dispute among the facts. We agree: there is no data PSA screening improves OM. Since that is a fact we all agree to, then all I am asking is for you to be honest. Please stop using the rhetoric “saves lives” when you have not proven that. Please tell every person who asks about screening “there is no proof PSA extends your life, or reduces your risk of dying”. This is true. As a matter of fact, most doctors do not say this, and patients are entirely surprised by it. That is simply unethical consent. My tooth analogy in stat is a good one: https://www.statnews.com/2017/04/11/psa-screening-prostate-cancer/ and we discussed this at length in the BMJ. Second, is the question of why is there no OS benefit. Is it possible PSA screening hasn’t improved OM because the trial was underpowered? Yes, it is possible. As the commentator notes though ” a large percentage of men in this age range will die from some natural cause over a 10 or 15 year period.” Indeed, it might take several million people (not quite 4) to power a trial for OS. But what is this really telling us? This is telling us that whatever OS gain exists is at best something very very small. One might wonder if even conducting a trial is worth it because the benefit, if any, is trivial. If we hadn’t debuted PSA and you took this power calculation to a federal agency for funding, they might laugh at you for chasing so small a gain. This is not an optimistic endorsement. Yet, the reality is sadly such a trial is probably worth it (at a societal level) because of the endless optimism, high spending, and misleading rhetoric among professionals whose financial lives are tied to the revenue from test, and among those who are true believers. But, it is also possible, PSA does not improve OM. Let me repeat: It is possible PSA doesn’t improve OM. Open your mind to that. I personally think this is LIKELY. Whatever you think, this is the null hypothesis. Screening may decrease prostate-specific death– which is a terrible endpoint that requires adjudication, and anyone who has filled out a death certificate knows how hard that is–But it may also increase off-target death, and have no benefit. We have all seen patients who got PSA –> PCA diagnosis –> EBRT –> (which increases risk of) rectal cancer–> could not get more RT because of prior RT to pelvis –> metastatic rectal cancer –> death. These deaths are not counted against PSA in any randomized trial, and just one reason why OS is the correct endpoint for cancer screening interventions, which inherently have broad consequences especially since 50% of diagnoses are over-diagnosed. There is no evidence to know if off-target death or bad coding of prostate death is the reason OS is not extended or if it is lack of power. As in all such cases in medicine, the bottom line is you have to say: This test has not shown an OS benefit. I cannot say it saves lives. It decreases one type of death, but who knows about dying for any reason. And, if I am honest, I suppose it is irrational to prefer one way of dying over another, and the harms are so substantive, then perhaps I should really wonder if society should be hemorrhaging billions on this terrible, unproven intervention or if that money might be better spent doing almost anything else to improve our health. But at a minimum, I should be honest, and stop the continual lying to people that I have proof the test saves lives. The only thing it does for certain is harm people; the benefit on survival is uncertain. Finally, please don’t ever say a randomized trial will never happen. Last I checked no one knows the future, and the history of medicine is full of experts (even the best experts) who said a randomized trial will never happen, and then it happened, and then it was negative. So, show an ounce of humility and keep quiet about the future. PSA screening does not improve OM. It does NOT improve longevity. These are facts. You may speculate all you wish about why these are the facts, but that does not change the facts. Please tell people the facts, and let them decide. And remember the reason these are the facts might actually be because PSA screening does not improve OM– allow that possibility to enter your head– push it around a little– let it soak in. I am sorry you are tired about this debate, but it is an important debate even if you lack patience with those who disagree with you. To be blunt, I think that the approach you advocate towards health policy would be a very bad way to make policy not just in the health arena, but in many other areas of public policy. It is too prone to indulge our biases, and to inordinately favor inaction over action, when neither should be favored. No, I’m afraid that I don’t agree with that because that is not the kind of proposition that statistical evidence can advance. There are point estimates of the effects of prostate cancer screening on overall mortality. Actually, the point estimates in the European study suggest the reduction in overall mortality due to screening is GREATER than the reduction in prostate cancer mortality. The point estimate in the sample is more likely than other numbers to be close to the “true estimate” if we had an infinite sample. But unfortunately, due to the nature of statistics, it is hard to precisely estimate effects on a commonly occurring event, which is death from any cause in this sample of men. Therefore, there is considerable uncertainty about the true effect of screening on OM, and it is possible the effect is zero, or that it increases OM, or it might decrease it by 3 or 4 times the prostate cancer reduction in mortality. What is important here is that the estimates are so imprecise that we cannot tell whether effects on OM of screening are large enough to be relevant for policy purposes. We would be in a quite different position if the existing studies had precise enough estimates that they could rule out such effects. This is simply untrue. Ruth Etzion’s work with simulations based on the European results have shown that based on these estimates, there are many screening/treatment strategies that could easily be argued to pass a benefit-cost test. Yet it is quite clear that the European study, and the U.S. study were underpowered to detect reductions in OM of the magnitude of the observed decline in prostate cancer mortality in the European study. Given this lack of evidence from the PSA screening studies on effects on OM, we are left to rely on other information in determining how likely it is that screening effects on non-prostate-cancer mortality offset the negative effects of screening on prostate cancer mortality. Your prior belief is that this is likely. Other people disagree. We can argue about this based on plausible estimates of how likely various offsets are to occur. That approach might get us somewhere. What does not get us anywhere is playing the “null hypothesis” game, where one states one prior belief, and then demands that others refute it at the 95% significance level. You want the null hypothesis to be : “PSA screening does not affect OM”. And you want us to act as if the null hypothesis is true in the absence of a study that shows that that one can reject YOUR choice for a null with 95% probability. But someone else can say the following: “My null hypothesis is that PSA screening has no effect on non-prostate cancer mortality.” That is an equally valid null hypothesis. This other person can then demand that the effect on non-prostate cancer mortality be treated as zero unless someone produces a study that shows it is non-zero with 95% probability. What would be better is to drop the null hypothesis game. There is no natural null hypothesis here that everyone can agree on. Rather, there are estimates with some uncertainty. And there is other evidence that can be brought to bear on the topic of whether non-prostate-cancer mortality is likely to increase or decrease or stay unchanged due to PSA screening. We should pull together all this evidence, and then try to do a dispassionate analysis of the likely benefits and costs of PSA screening, incorporating all the sources of uncertainty. I think ultimately this comes down to a question of values that conflict. It is my observation that many in the health care professions do not like tradeoffs between conflicting values, and prefer a case where the situation is black and white. For example,take the old precept, “First, do no harm.” Well, if you believe the European study and Etzion’s work, that is an IMPOSSIBLE goal in PSA screening. If you do more screening, you will reduce PSA mortality, and Etzioni et al assume overall mortality will decrease similarly. But you will increase the number of men with impotence or incontinence. So you do harm. But if you don’t screen, more men will die earlier, and have other health problems, and you ALSO do harm by not screening. I think many people in health care prefer to think: let’s assume that PSA screening does not reduce OM, because then it is clear what we should do, which is not to screen. I think we should tell men: Yes, this is uncertain. There is some evidence that PSA screening might give you a longer life, with some x% probability, with a lot of argument over what x is. But there is also evidence that PSA screening MAY lead to subsequent actions that will increase impotence or incontinence by some multiple of 4 or 5 times x%, or even more, with some arguments and uncertainty over how large that multiple of x% is. If you would rather be dead than impotent or incontinent, the choice should be clear for you: don’t screen. But if that does NOT represent your preferences, then how to make the optimal tradeoff is less clear. Dr. Prasad, as long as men understand the risks and imperfections of psa screening, and it decreases deaths and morbidities from prostate cancer , what difference does it make if OM(overall mortality) statistically is not effected? I prefer survival of prostate cancer so I get a chance to succumb to a cardiac arrest, etc. Our comments policy states that this site “is not intended to be a forum for definitive discussions about medicine or science.” With that in mind, I’ll be shutting down this thread unless additional ideas emerge pertaining to media messages about prostate cancer screening. The same could be said for every single pill, device, surgery or test that has not yet been approved by the FDA- every thing in clinical trials. In all these cases we can say “There is no evidence <> improves mortality.” We can also say that here. No, there is not some evidence of this. In every single PSA trial there is no OM difference, and no difference in all the trials put together. There is some evidence it reduces dying from prostate cancer by 20%–in one trial where the authors refuse to share data with other researchers, and which was not seen in all nations in that trial. 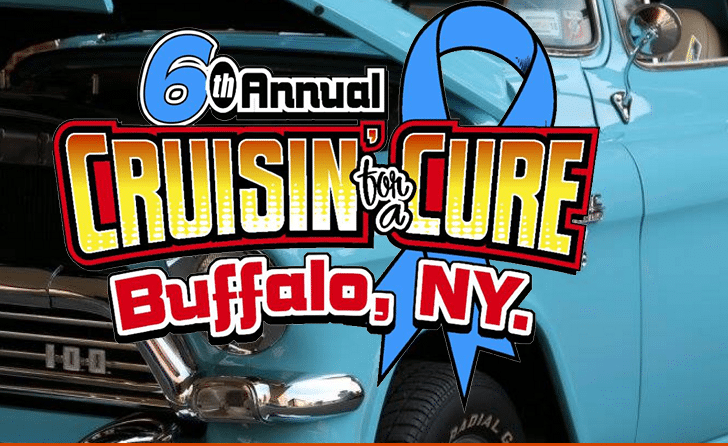 And dying from prostate cancer is an endpoint that is very hard to score because of how you attribute cause of death, which is not easy or straightforward, and can be affected by knowledge of prior treatments, tests and biopsies. The fact that this is the best data for a widespread population screening program that was for decades advanced by empty rhetoric and persuasion, where there was NO informed consent, is a shameful mark on medicine.